This was taken back in January when I was serving jury duty at the Federal building. 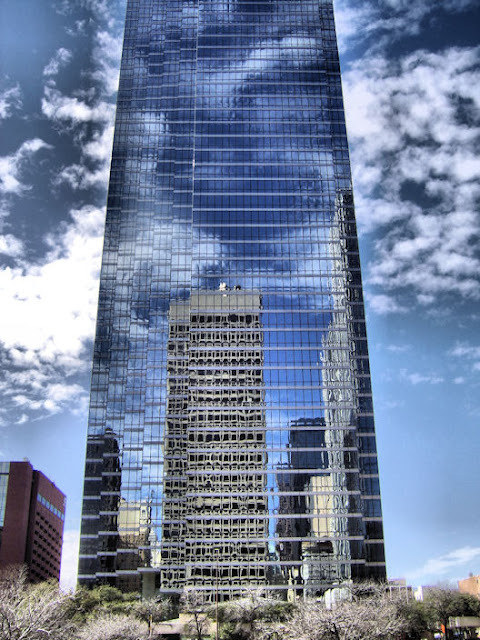 This is the One Main Place building being reflected off of the Bank of America tower in downtown Dallas. This is my 2nd favorite shot from 2012.